Is there a security update for the Intel ME firmware for my Razer Blade 14” (2017) - Intel 7700HQ - GTX1060? The warranty length for the Razer Blade 2017 is 1 year. Please see full details for warranty lengths: here. The Windows 10 operating system package includes Microsoft Security Essentials. Razer understands how important it is to keep a bloatware free environment on your brand new Razer Blade. The Razer Blade comes with no bloatware pre-installed. In lieu of longer battery life, this feature is not available on the Blade. This is tied into the NVIDIA® Optimus™ technology for better performance and extended battery life. 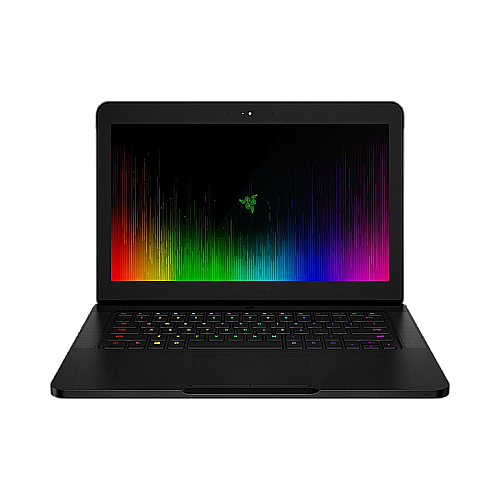 The Razer Blade features two graphics processors (Intel HD graphics and NVIDIA GTX 1060 Graphics). If you would like optimal performance, be sure to set your program to utilize the NVIDIA GTX 1060 graphics processor. 3. Select or Add the program you wish to run and select the preferred graphics processor as the High-performance NVIDIA processor. Most modems have an indicator that shows if it is connected to the internet, check if your modem is connected to the internet. If your modem does indicate that you are connected to the internet, try restarting your modem. If you're still having issues please contact your local internet provider to ensure that the connection is stable. If you still have problems connecting, please contact Razer Blade Technical Support. When my Blade comes out of the sleep or standby mode, the trackpad does not work. How can I fix this?